Nearly Rs 2,700 crore of Ranbaxy sale proceeds were transferred to firms owned by the Dhillon family and associates and senior functionaries of the RSSB sect. 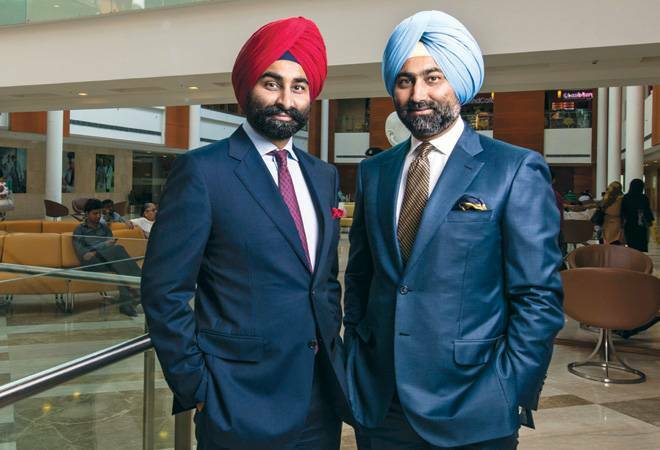 The Singh brothers have finally broken their silence over how they lost Rs 22,500 crore, their flagships Fortis Healthcare and Religare Enterprises in less than a decade. Shivinder and Malvinder have blamed the then Religare CEO & MD Sunil Godhwani for orchestrating a series of transactions over a decade and leaving them with a debt load in 2016. "Mr. Godhwani used his position to conceive and orchestrate a series of transactions over the better part of a decade that led to our Group's debt load by 2016. Regarding Mr. Godhwani, it is clear that he used our trust in him to exercise undue influence and has taken advantage of the faith bestowed by both families," Shivinder and Malvinder told BusinessToday.In. The two brothers were loaded with Rs 9,576 crore in cash in 2008 after selling India's largest pharmaceutical firm Ranbaxy Laboratories to Japan's Daiichi Sankyo. Just 8 years later, in 2016, they were in debt of Rs 13,000 crore. But, where the Rs 22,500 crore disappeared has always remained a mystery. Such decimation of private wealth is unprecedented in India's corporate history. The Singh brothers did not respond to specific questions regards loans to the firms owned by the family of Gurinder Singh Dhillon, who is better known as Babaji, the spiritual Guru of the Radha Soami Satsang Beas (RSSB). Nearly Rs 2,700 crore of Ranbaxy sale proceeds were transferred to firms owned by the Dhillon family and associates and senior functionaries of the RSSB sect. "After our father Dr. Parvinder Singh passed away in 1999, we found an anchor and mentor in Mr. Dhillon. We remain deeply grateful for this relationship. Our relationship with Mr. Dhillon remains that of a spiritual Master and a disciple. That we have had close personal relations with Mr. Dhillon as the central father figure in our life, has always been and remains a singular privilege and honour," say Shivinder and Malvinder Singh. "After the Ranbaxy sale closed, it was decided that Mr. Godhwani would lead our family office in addition to his role in Religare, and from end 2008, he had full management control of RHC Holding and its subsidiaries. Mr. Godhwani was expected to be a responsible trustee and steward of the family's resources and consequently our reputation," the brothers said. Sources close to Godhwani, however, say that the brothers knew of all transactions and had signed on the documents. That's a claim that is denied by the brothers. We would like to provide some context. After our father Dr. Parvinder Singh passed away in 1999, we found an anchor and mentor in Mr. Dhillon. We remain deeply grateful for this relationship. Our relationship with Mr. Dhillon remains that of a spiritual Master and a disciple. That we have had close personal relations with Mr. Dhillon as the central father figure in our life, has always been and remains a singular privilege and honour. Never have we felt this relationship being based on anything but love and genuine concern for our and our family's larger interest. The Group's troubles today stem from the Group's association with Mr. Sunil Godhwani who had started his association in Religare as its CEO in 2001. By most accounts he had led the growth of the organization successfully till 2007 when it went public. He thereafter led and negotiated the Ranbaxy sale in 2008. Thus, by late 2008, the promoters had basis to trust Mr. Godhwani given his performance in Religare and as a trusted senior of the Group. After the Ranbaxy sale closed, it was decided that Mr. Godhwani would lead our family office in addition to his role in Religare, and from end 2008, he had full Management control of RHC Holding and its subsidiaries. Mr. Godhwani was expected to be a responsible trustee and steward of the family's resources and consequently our reputation. We are sure Mr. Dhillon and his family would have had a similar expectation from Mr. Godhwani regarding management of their resources. Mr. Godhwani used his position to conceive and orchestrate a series of transactions over the better part of a decade that led to our Group's debt load by 2016. Regarding Mr. Godhwani, it is clear that he used our trust in him to exercise undue influence and has taken advantage of the faith bestowed by both families.